My little sister was turning 13 and I knew I was going to make her a tiered birthday cake (I make and decorate cakes at every opportunity. But this one had to be awesome! The day before her party I cleared everyone from the kitchen and set to work. 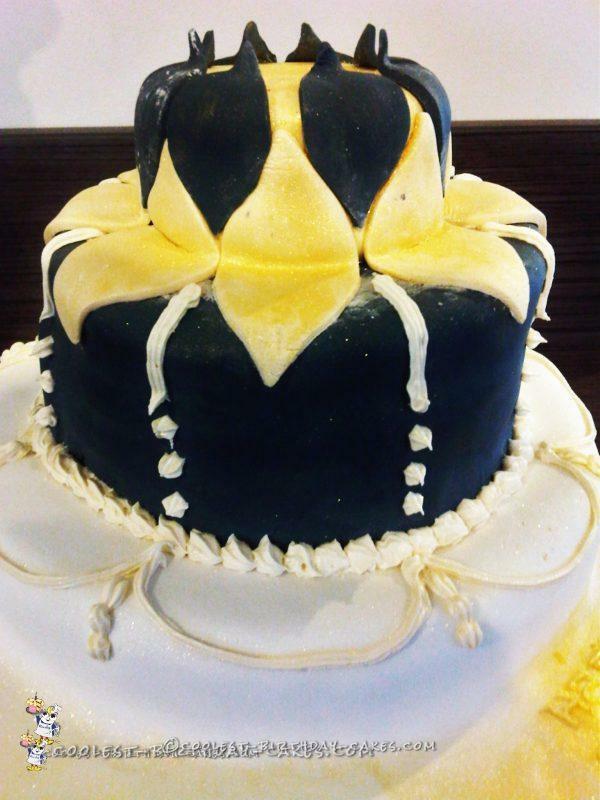 After coating the three tiers with buttercream to stick the fondant on, I covered them – the first tier I covered in white, the second black, and the third gold. 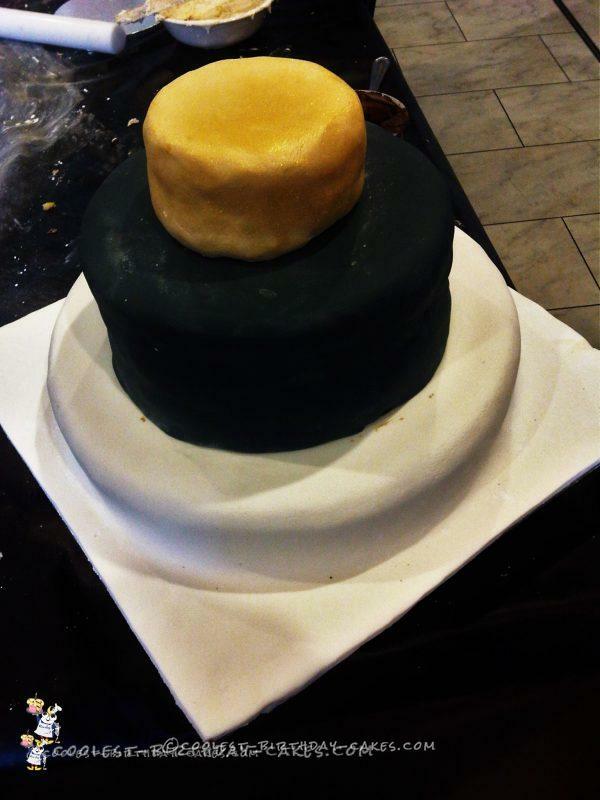 I then used a cutter to make shapes out of the remaining fondant to use to decorate the cake. 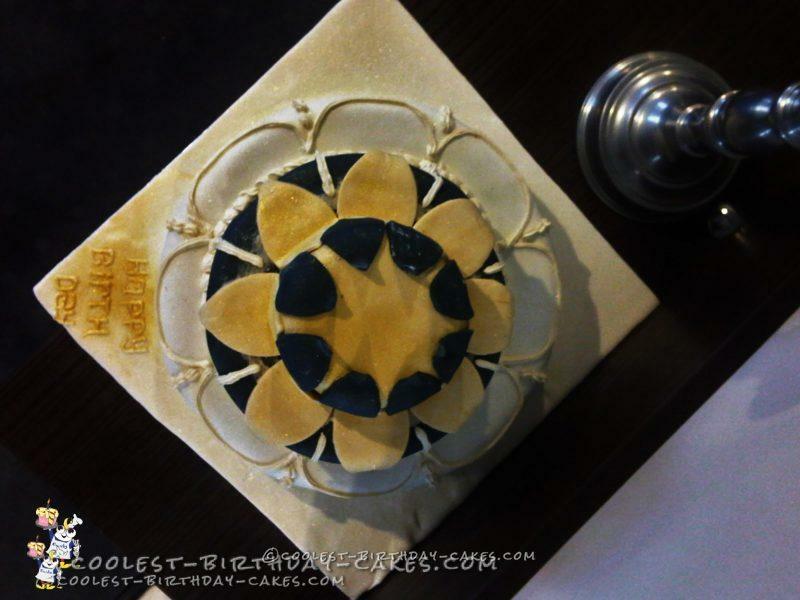 I had decided to make a flower out of the tiered birthday cake, and completed the look by piping decorations onto the bottom tier, and feathered gold dust all around to make it stand out. Then I hid it. The following night I put sparklers in the top instead of candles, and my lil sis had to pick her jaw up from off the floor when she first saw here tiered birthday cake. And apparently it even tasted nice!